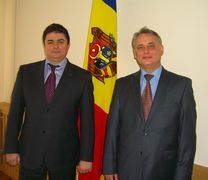 The purpose of the visit was the identification of the priority issues and objectives for the period of the Chairmanship of the Republic of Moldova in the IGC TRACECA as well as strengthening closer relations between the Permanent Secretariat of the IGC TRACECA and countries-members of the MLA TRACECA. At the meeting the Parties discussed the outcomes of TRACECA Investment Forum, the Eighth meeting of the IGC TRACECA (12-13th October, 2010, Brussels, Belgium) and the on-going issues of the development of TRACECA corridor, pointed out the priority issues of cooperation. The Parties also exchanged views concerning prospects of the corridor development, further institutional strengthening of the structures of the IGC TRACECA as well as the implementation of the Strategy of the IGC TRACECA on international development of the corridor. 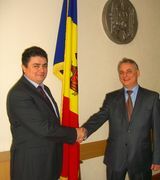 On the outcomes of the meeting the Parties defined the main plans for joint activity regarding the implementation of the basic provisions of the Basic Multilateral Agreement on International Transport for Development of the Europe-Caucasus-Asia corridor under the chairmanship of the Republic of Moldova in the Intergovernmental Commission, as well as theAction Plan for the year of 2011.